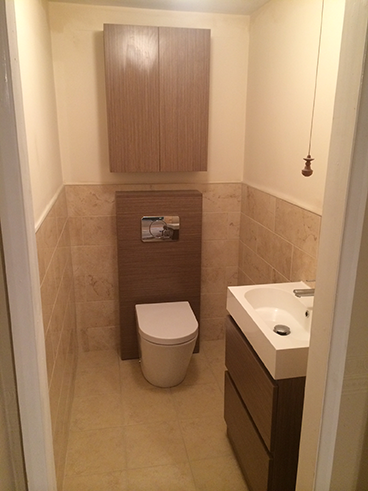 Deciding to invest in a new bathroom is often a big and daunting decision to make and the process can often be quite stressful trying to co-ordinate different tradesmen. 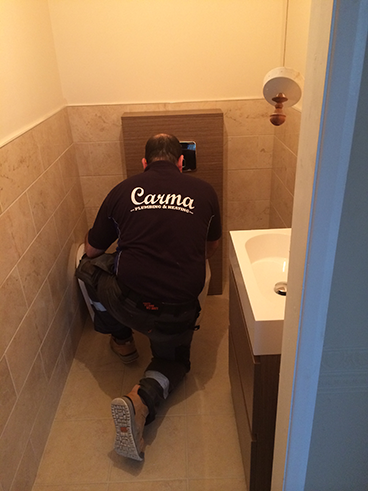 That's why at Carma Plumbing we offer a service that takes all of these problems away, our aim is to make this process as stressless as possible causing the minimum amount of disruption. 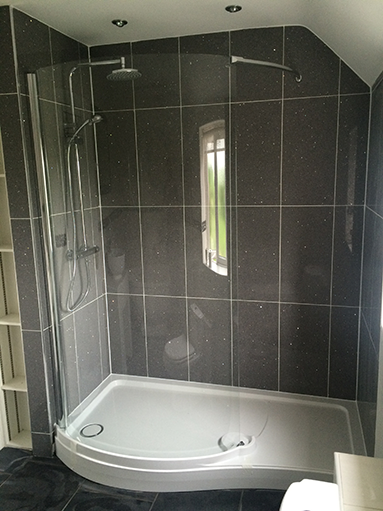 We will do everything that needs to be done to transform your old bathroom, ensuite etc. to a beautiful new one. Our team of tradesmen and engineers cover all aspects of the new installation we offer a full design service or just a helping hand with some advice. We pride ourselves on leaving you with a beautiful new room that you can enjoy for years to come because we do not cut corners. We often say there really is nothing that can't be done so we are happy to hear your ideas and advise on the best possible way of doing this. 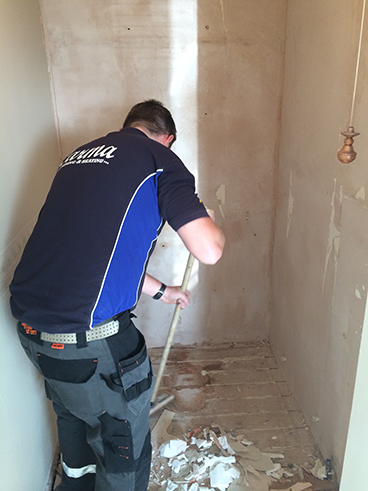 Our first phase: is to remove the old suite, tiles etc.. in a lot of cases especially old houses this often springs up some problems like plaster coming off, damp patches and uneven walls before we start to do any sort of installation this is all put right first. 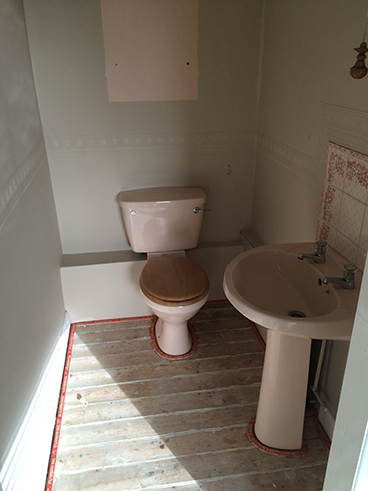 Second phase: is to install any pipe work needed, drainage etc. 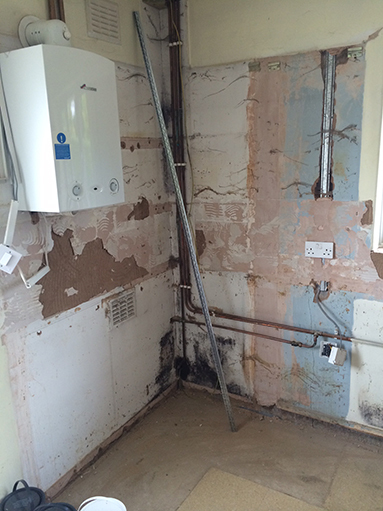 the first 2 stages of any install are always quite horrifying for a customer as the room has been ripped apart and left ready for the install to begin. 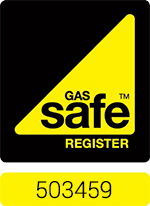 This is something that is often not explained to a customer so its quite a shock when they first see this. However this does not stay like this for long because now is the time for the magic to start to happen!! Third phase: Tilling and fitting the suite. Fourth phase: finishing off and making your new room perfect. After all stages are complete we have our own cleaning team that will come in and get rid of that horrible smell of grout, plaster etc.. and leave your room smelling beautiful and sparkling clean. A kitchen these days is often the hub of the home and a place the whole family spends time. This is why we like to offer a large range of kitchens chosen by you and fulfilling all the needs that you and your family need. We can offer a full design service or just some advice on your ideas. 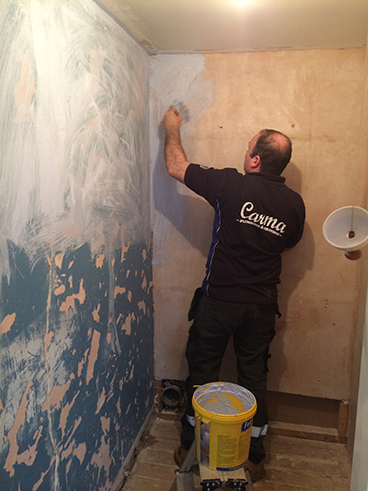 Carma Plumbing can offer a new kitchen installation form start to finish, again with no need to go to other trades for individual jobs. 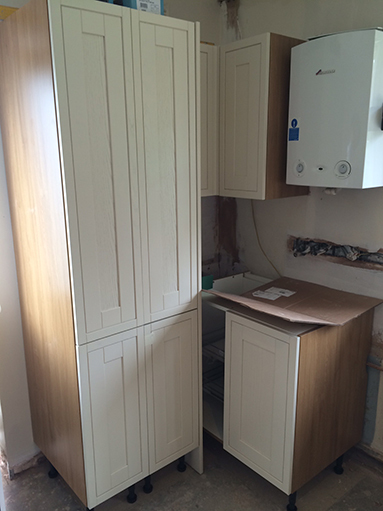 All of our kitchens are fitted to the highest standard and causing the least amount of disruption. A full installation, depending on the amount of works, can take from 7 to 10 days. 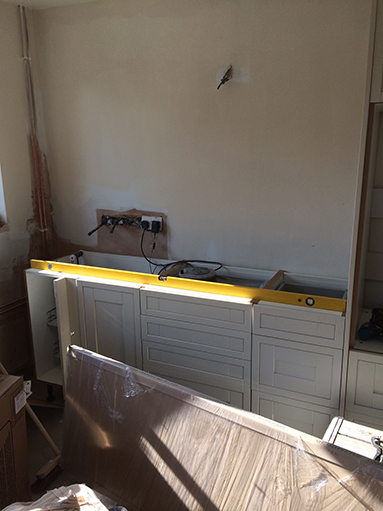 Often that first and second phase of a kitchen can be quite alarming to the customer when you are removing and prepping the area we like to explain this to our customers so this is not a shock. However these first two stages don't last long and very quickly you will start to see your beautiful new room coming together. All Installations are finished off with a full cleaning service so your new room is ready for you to use without any fuss.